For the third consecutive year, Orlando, Florida, and Winter Haven, Florida, litigator L. Reed Bloodworth, Managing Partner of Bloodworth Law, PLLC, was named to the Florida Trend Legal Elite in Commercial Litigation. The list represents fewer than 1.2% of active Florida Bar members practicing in Florida and recognizes attorneys who were nominated by legal peers. Bloodworth, who has practiced Florida law since 2004, left one of the nation’s largest law firms in January 2017 to start Bloodworth Law. The Bloodworth Law team travels to clients to work on the most compelling cases in Florida cities and counties. Bloodworth Law offers clients a range of payment methods so that cases may begin immediately including hourly, hybrid, contingency, and flat fees. 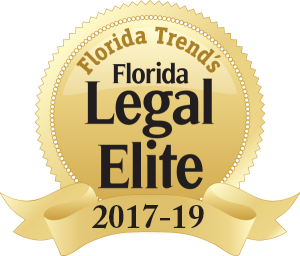 Florida Trend Legal Elite is in its 15th year and works with The Florida Bar to present a prestigious roster of attorneys chosen for recognition in key practice areas by their peers. 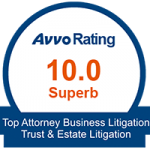 There are only 1,012 lawyers selected to the list annually. Lawyers selected to Florida Trend’s Florida Legal Elite exemplify a standard of excellence in the legal profession who are held in high regard by legal colleagues in The Florida Bar. Attorneys were given a score based on the number of votes they received, with weight given to votes from outside the firm. The list of top vote recipients was reviewed using membership status and histories provided by The Florida Bar. A panel of previous Legal Elite winners, representing different practice areas in cities across the state reviewed the list of finalists.